The waste rice straw is a sustainable bioresource with large reserves and low-cost, thus can be used to produce fuels and chemicals to enhance its value. In this paper, we have developed a new method to convert rice straw into biogasoline with high yield in one step by using multifunctional catalyst of RhCl3/NaI/HCl/H2 in a biphasic reaction system. Lipid and lignin in the rice straw hindered its conversion and need to be removed by pretreatment. The major products are C5 and C6 furan, furfural, and cyclic ketones, which are low in oxygen content and can be used as biogasoline. 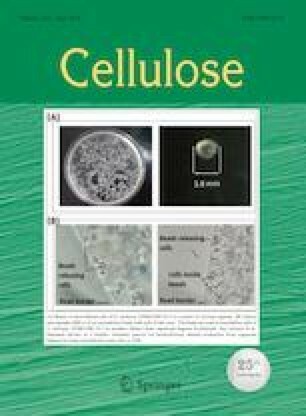 Under the optimal reaction conditions (140 °C, 4 h, 300 psi H2, toluene to water volume ration 1:1), C5 from hemicellulose with 77.2% yield and C6 from cellulose with 71.7% yield can be obtained. The total biogasoline yield based on dry rice straw is 23.5 wt%, which is quite significant. The mechanism of the conversion process was also well studied. The online version of this article ( https://doi.org/10.1007/s10570-019-02403-2) contains supplementary material, which is available to authorized users. This work was funded by “Thousand Young Talents” Program of China, and “Thousand Talents” Entrepreneurship Program of Jiangxi Province.